Partnership Grants provide support for new and existing formal partnerships over four to seven years to advance research, research training and/or knowledge mobilization in the social sciences and humanities through mutual co-operation and sharing of intellectual leadership, as well as through shared resources as evidenced by cash and/or in-kind contributions. Please Note: SSHRC has not formally launched the 2019 competition, but York University is launching an internal Notice of Intent (iNOI) process early given the competitiveness and strategic importance of the competition to the university. All researchers planning to apply to the SSHRC Partnership Grants program – Letter of Intent phase – are required to submit an Internal Notice of Intent (iNOI) to Diana Frasca, SIRI Specialist in the Office of Research Services (ORS) no later than 9am on November 23, 2018. iNOI packages will be reviewed by the Strategic Project and Opportunity Review Team (SPORT), as well as Diana Frasca, and reviews will be returned to Project Directors by December 14, 2018. 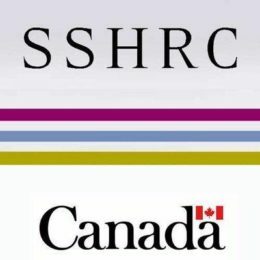 Please Note: Because SSHRC Partnership Grants are institutional awards and require the support of researchers’ respective Departments, Faculties, Organized Research Units (ORU), and the Office of the Vice-President Research and Innovation (VPRI), the iNOI package should be accompanied by confirmed commitments. In order to secure these commitments, all researchers should notify their Department, Faculty Research Office, ORU, and Diana Frasca as soon as possible about their intention to apply (ideally in September). For more information and to set up a one-on-one meeting contact Diana Frasca, SIRI Specialist, at dfrasca@yorku.ca. *For bullets 2-6, please follow SSHRC Partnership Grant Letter of Intent Guidelines. For complete details on this funding program, please click here.